Cecilia S. Choi is the U.S. State Department’s Diplomat in Residence for Southern California, Hawaii and Nevada. A visiting fellow at UCLA, she is responsible for recruiting talent to pursue a career in public service in global affairs. Choi was the director of trade and investment at the National Security Council serving under the Obama and Trump administrations. She advised on tariffs, trade agreements and U.S. export promotion. 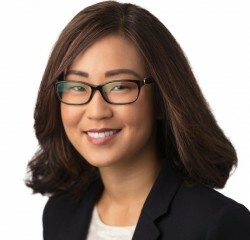 Choi was the deputy director in the State Department’s Bureau of Oceans and International Environmental and Scientific Affairs, where she promoted innovation to address environment challenges. She also served as the food safety adviser at the Bureau of Economic and Business Affairs, promoting U.S. agriculture. Prior to joining the government, she worked in investor relations, advising Fortune 500 companies on how to promote their publicly traded offerings. Overseas, she was the economic counselor at the U.S. Embassy in Honduras. Her other overseas assignments were in South Korea and Turkey. She also helped coordinate the U.S.-Chile relationship, advancing U.S. interests on free trade and peacekeeping. Her foreign languages are German, Korean, Persian and Spanish.